For young adult and adult learners of English. 18 units. A variety of short, realistic reading passages. Advertisements, maps, tour itineraries and more—English of the type students have to read out of class. Reading for gist and for specific information. Practice in inferencing. Plus activities to further apply language from the readings. 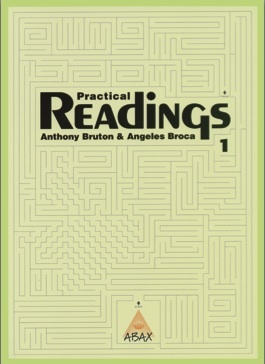 A special feature of Practical Readings is its focus on how words in texts connect. Students read a text, break it apart, then read it again.